(APN) TYBEE ISLAND, Georgia — The “Source to Sea” Savannah River Pilgrimage started on March 08, 2015, at Whiteside Mountain, North Carolina, and ended April 11, 2015, 439 miles later on the bank of Tybee Island. The purpose of the pilgrimage was to raise awareness of environmental damage to the ecosystem from pollutants that flow into the river from industry, coal plants, nuclear sites, sewage treatment plants, and residential development on the river. A recent report by Environment Georgia calls the Savannah River the third most polluted river in the nation. This information is from the Environmental Protection Agency, which gets their numbers from industries. These industries dump over five million pounds of toxic waste into the Savannah River every year. On of the biggest polluters is DSM Chemical who dumps 4,085,115 pounds of toxic pollution into the Savannah River. It was a dream of Bob Brooksher to travel the Chattooga River to the Atlantic Ocean. 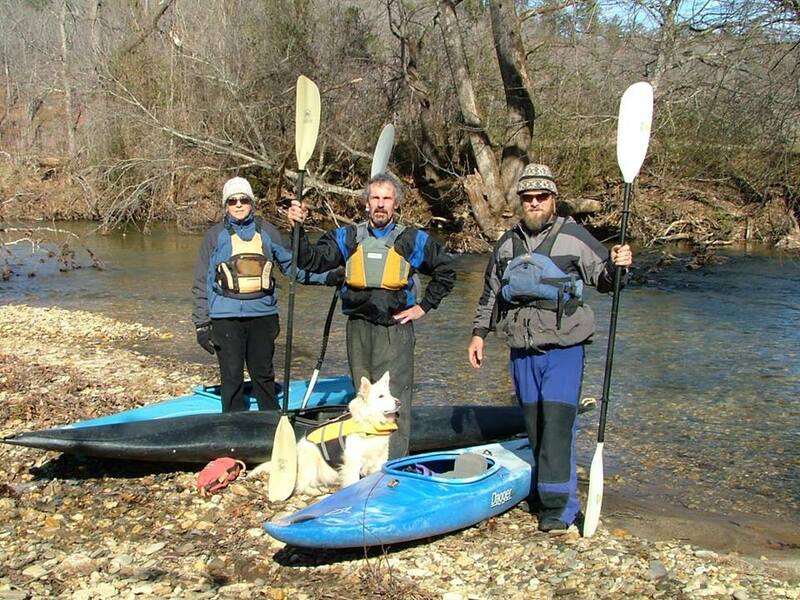 Joanne Steele, a clean energy advocate, wanted to do an epic journey down the Savannah River for her 60th birthday. Joanne’s son, Jesse Steele, organized and moved all the heavy equipment for the group. Brooksher’s dog, River, accompanied them. The Chattooga, Tallulah, Tugaloo, Seneca, Broad, and Little Rivers all flow into and make up the Savannah River, as well as, many creeks. There, they learned from Nuclear Information and Resource Service (NIRS) that the three Oconee Nuclear reactors located on Lake Keowee are at a one hundred percent risk of meltdown if the upstream Jocassee earthen dam were to break. Keowee’s outflow is the Seneca River, which flows into the Savannah River. “On the Seneca River watershed back in 1955 through 1977 there was dumping of Polychlorinated Biphenyls (PCB) into Twelve Mile Creek and that, to this day, is still a threat to people fishing Lake Hartwell. Every boat ramp has a warning sign about PCB contamination and fish consumption,” Joanne Steele told Atlanta Progressive News. There are six dams on the Savannah River. They are Hartwell, Russell, Thurmond, Stevens, Augusta City, and New Savannah Bluff Dam. “I consider every dam along the river an environmental impact, it totally changes the ecosystem and the aquatic life. There are towns and significant archaeological sites under the lakes,” Jesse Steele told APN. Jesse reported heavy residential development, in some areas, along the lakes upstream; and noticed some had septic systems that leaked into the lakes. The Savannah River supplies drinking water to Augusta; Savannah; and Hilton Head and Beaufort, South Carolina; and many smaller municipalities in the basin. “The effluent or discharge coming out of International Paper Mill below Augusta was obvious. We could smell it for ten miles. The Olin Chlor Alkali plant near Augusta, released mercury into a channel that goes into the river. High levels of mercury were discovered in the channel by young people conducting a high school science fair project,” Joanne told APN. “Some of the biggest problems on the river comes from DSM Chemical, PCS Nitrogen, International Paper, Weyerhaeuser, municipal sewage treatment plants, and the kaolin industry. Plant McIntosh, Plant Kraft, and Urquhart are all, or have been, coal fired power plants on the river; and their coal ash deposits on site are problems for the river,” Dr. Frank Carl, Science Advisor for Savannah Riverkeeper, told APN. Another big polluter is BASF Corp. The Savannah facility dumped 890,400 pounds of toxic chemicals into the Savannah River basin, according to Environment Georgia. That same year, they spent 2,875,000 dollars on lobbying and 492,625 dollars on campaign contributions. On down the river, one finds Shell Bluff citizens living in the shadow of Plant Vogtle, which has two nuclear reactors and is building two more. As previously reported by APN, there are increased rates of cancer and other diseases in the area. People who live in the area also have concerns about an inadequate evacuation plan in case of a nuclear accident. Nuclear power plants routinely release tritium, which can cause cancer and birth defects. The tritium releases negatively impacts the health of pregnant women, children, and people living closest to the plant. Radiation is invisible; therefore, one cannot see, smell, or taste it; and one does not know when or if they are exposed. “Here on the coast we are concerned about the old bomb plant at the Savannah River Site (SRS) and the legacy of pollution from poor management of the nuclear waste and other types of industrial waste that was improperly disposed of at that site,” Karen Grainey, Chair of the Georgia Coastal Sierra Group, told APN. “We are most aware of the leaks of tritium… and it all goes downstream. Once there was a tritium incident that caused the water to Savannah to be shut off,” Grainey said. “Plant Vogtle has had an impact because of the water they are withdrawing and the quality of the water being discharged back into the river, what does not evaporate. The nuclear reactors are going to pull ninety something million gallons of water a day and 90 percent of that is going to evaporate. The temperature of the water being discharged back into the river, although within federal guidelines, is still not good for life in the river. It’s obviously having an impact of a lot of little critters we are not paying attention to,” Tybee Island City Councilman Paul Wolf told APN. “The cost overruns on the two new nuclear reactors at Plant Vogtle are ridiculous . We could probably power the entire state with renewable energy for less money than they are spending on those two nuclear reactors,” Grainey said. “We met many people who were concerned about the Palmetto Pipeline that will run close to the Savannah River and will cross over every coastal stream in Georgia. People were worried about the threat of a leak or rupture, and also condemnation of private property by private corporations,” Brooksher told APN. The Palmetto Pipeline will connect to existing pipelines to move up to 167,000 barrels a day of gasoline, ethanol, or diesel more than 300 miles from Baton Rouge, Louisiana, to markets in North Augusta, South Carolina; Savannah; and Jacksonville, Florida. “Around Savannah there were many, many industrial sites that were dumping a host of things into the river, as well as, obvious air and water pollution. So much water is taken out of the river for industry that the concentration of the chemicals dumped into the river are greater,” Joanne Steele said. Another issue that concerns people on the coast is the deepening of the Savannah Harbor. “The dredging will affect the health of the lower part of the river. The fish can’t live in this river because there is not enough oxygen in the river in the summer time. The Army Corps of Engineers are going to be installing oxygen injection devices called Speece cones. It is like putting the river on a life support system. It’s expensive, energy intensive, and it has not been proven that it will actually work,” Grainey said. Some of the organizations who participated in programs as part of the river trip were Nuclear Watch South, Chattooga Conservancy, NIRS, Blue Ridge Environmental Defense League, Concerned Citizens of Shell Bluff, Savannah River Keepers, Clean Coast Georgia, various Sierra Club chapters, Southern Alliance for Clean Energy, and Georgia Women’s Action for New Directions. UPDATE 1: The Southern Alliance for Clean Energy and Georgia Women’s Action for New Directions have been added to the list of participating organizations. Great story Gloria! Good move including all the links. Great Bird’s Eye view of the journey. Well said. Thanks for spreading the word! Here’s to inspiring some new behaviors by the citizens as well as the corporations. Thank you, Gloria! We are working on a documentary about the Source to Sea Savannah River Pilgrimage 2015. 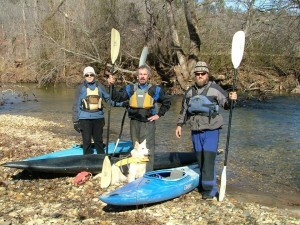 Check out the web site: http://www.sourcetoseasavannah.com Speak up and speak out for the health of the Savannah River! I am do proud of my friend, Gloria, for being do brave and writing such wonderful pieces. Much love to you,Gloria. Nicely done Gloria. Good factual reporting. Your article was very informative and enjoyable.